The Mac just had it’s birthday, but don’t you long for the days before a GUI? Don’t you wish you were in the 70’s or 80’s banging away at a DOS prompt connecting to a local BBS? 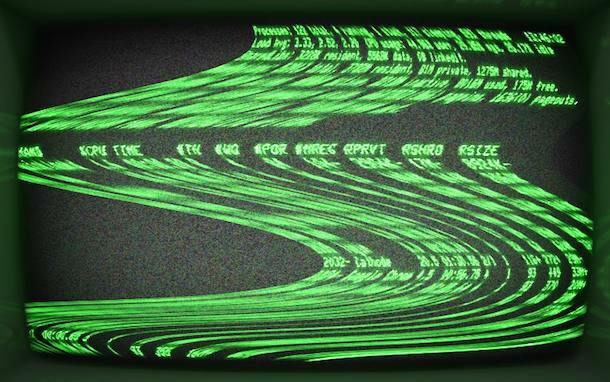 Do you get nostalgic for the days of typing commands into a noisy green on black terminal that would desync and flicker at random? 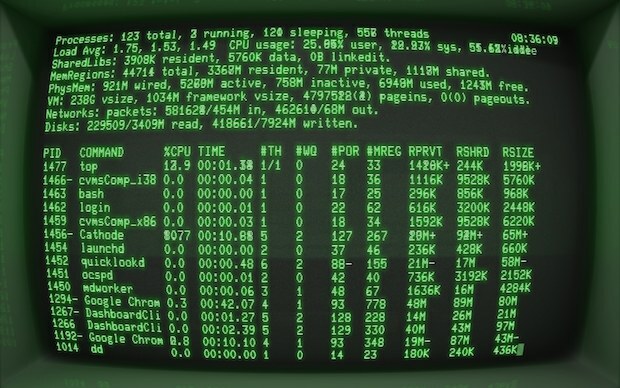 Your dreams are about to come true, thanks to Cathode, the self-proclaimed vintage terminal emulator, and it perfectly captures that retro computing feel. You can run Cathode in full screen (like the screenshot above) or in windowed mode (like the screenshot below). The app is an absolute riot and surprisingly customizable, letting you create picture perfect old school terminals that are full of wear and tear, curvature, flickering, jitters, burn-in, and even an adjustable bit rate that lets you emulate a 300bps modem. 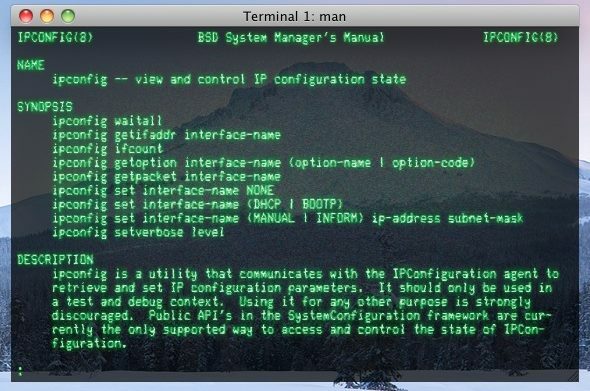 You can tweak the settings to make your Mac Terminal feel like something straight out of WarGames or The Matrix, or anything in between. You can grab Cathode from the developers site, Secret Geometry. The app does not appear on the Mac App Store, presumably because it replicates some existing functionality of Mac OS X (the Terminal). We’ve covered several other retro Terminal emulators here before, but Cathode is by far the most elaborate. Thanks to MacStories for discovering this one, it’s pretty great. The title of the page refers to a Leopard update, but scroll down for notes on how to fix a small problem in Snow Leopard (it’s as simple as changing a setting in the app’s preferences). I agree, I’d probably spring for it @ 9.99. I’m interested to start hearing what developers things the sweet spot for pricing in the app store is. I just used this program to do a spiffy background for my logon. Error code:ID 10T was included. Very slick but made my MBP fans go nuts.